If you haven't purchased your Two Good Care Pack please do so soon. Two Good Co sells beautiful lunches to city folk. Each lunch we sell, we give the same lunch away. Our goal is to recreate this ‘purple bow’ moment in shelters across NSW. Inspired by Lisa’s words. 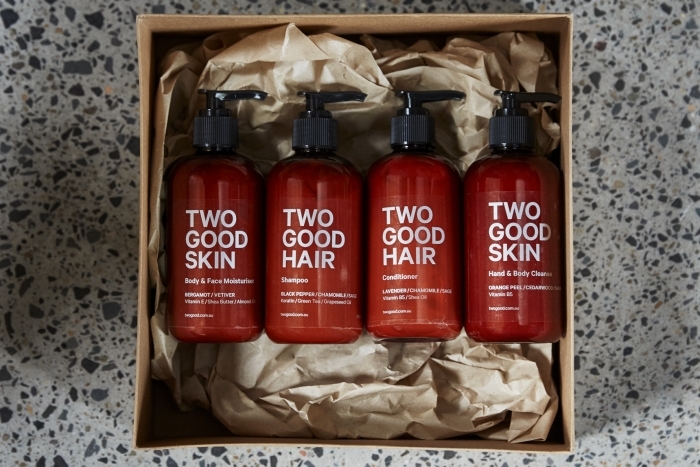 We have created a beautifully packaged and professionally made Hair and Skincare range of products. But we now need your help. 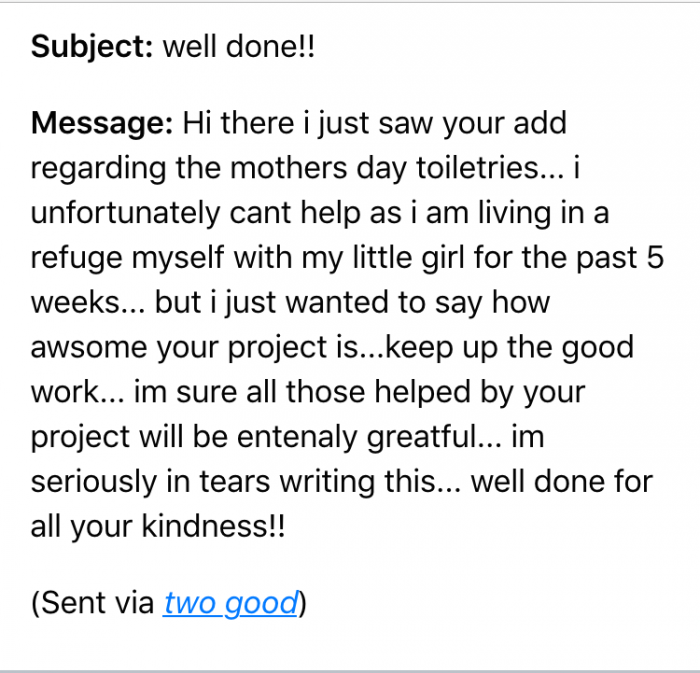 All we are asking you to do is buy a care pack for yourself or your mum. 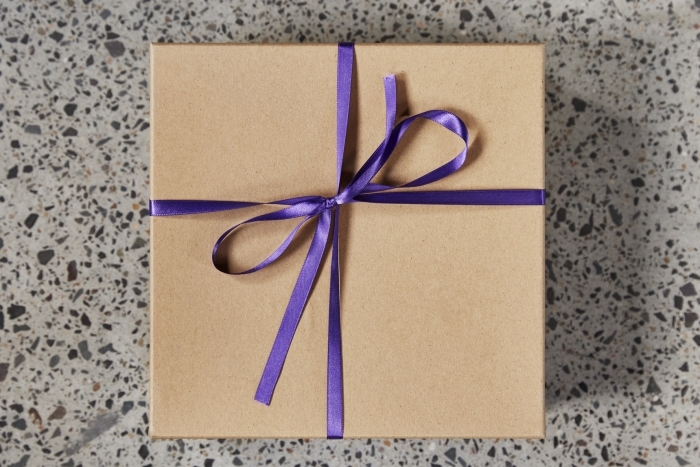 And together with Domestic Violence NSW we will deliver the same pack to a woman in a shelter this mothers day. 1 x 250ml Shampoo with Black Pepper, Chamomile and Sage. 1 x 250ml Conditioner with Lavender, Chamomile and Sage. 1 x 250ml Body and Face Moisturiser with Bergamot and Vetiver. 1 x 250ml Hand and Body Cleanser with Orange Peel, Cedarwood and Sage. All products are free of Paraben. Only natural essential oils used. 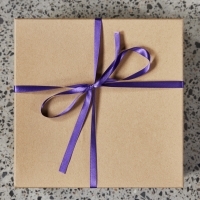 We need your help to provide Care Packs to Domestic Violence Shelters this Mothers Day. A Care Pack will be donated to a refuge. You will receive notification of which refuge got your pack. Please select the other perk if you’d like to also receive a pack for yourself. A care pack will be delivered to you and to a shelter. The price includes postage to anywhere in Australia. You will receive notification of where the other one has gone to. Please ensure your address is filled out correctly. We’ve surveyed the shelters and 6 have asked for 30 packs. This donation will pay for a complete refuge. We’ll let you know which one donated to. Est. Delivery Date: May 8. The Shoalhaven and Illawarra region has requested 100 packs to be distributed to their refuges. A large Western Sydney refuge has requested the same.